Acupuncture is a method that has been used in Asia for millennia to treat various conditions. It consists in inserting fine needles into the skin at specific points (called acupoints). According to Chinese tradition, the body contains two opposing forces, yin and yang, and an imbalance between them can cause people to fall ill. The energy known as qi (pronounced “ch’i”), which normally circulates along the meridians that run up and down the body, is then blocked. Inserting needles into the acupoints located along these meridians is supposed to remove these blockages, re-establish equilibrium, and result in healing. Acupuncture is now widely practiced in Western countries as well, and its clinical effectiveness for certain conditions has become recognized. But the preceding traditional Chinese explanation of how it works is disputed by Western medicine. The anatomical substrate of the meridians is an especially controversial question. The other major question is whether the very real effects of acupuncture that have been observed in so many patients might not be due solely to the placebo effect. In other words, whether these effects might not be the same as those produced when patients are given a simple sugar pill and told that it contains an actual medication. A number of experiments have been conducted to test this hypothesis. For example, a study published in the Annals of Internal Medicine in 2006 involved 1007 patients with severe arthritis in their knees and 320 acupuncturists, all of whom had at least two years of experience. The patients were divided into three groups. The patients in the first group received 10 acupuncture sessions. Those in the second received 10 simulated acupuncture sessions, in which the needles were inserted at random at points other than traditional acupoints. The patients in the third, control group simply made 10 visits to the doctor over the course of six weeks. At the end of the experiment, an improvement was observed in 53% of the patients in the real-acupuncture group, 51% of those in the simulated-acupuncture group, and 29% of those in the control group. The authors concluded that the lack of any difference between the results for the real and the simulated acupuncture might be due to the placebo effect, or alternatively to some physiological effect that the needles might have regardless of where they were inserted. Another experiment, reported in the British Medical Journal in 2006, showed that acupuncture can reduce the number of days that patients suffer from headaches. But the catch was that here again, simulated acupuncture produced practically the same results. In another article, published in the Archives of Internal Medicine in 2007, the authors compared the effectiveness of real acupuncture, simulated acupuncture, and conventional treatment with anti-inflammatory analgesics and physiotherapy, as treatments for chronic lower-back pain. The authors showed that real acupuncture relieves such pain far more effectively than conventional treatment. But here again, simulated acupuncture was practically just as effective as the real thing. Though many studies on the effects of acupuncture have been of questionable quality, the best-designed ones suggest that a good part of these effects may be attributable to a placebo effect that causes the body to release endogenous opioids and other pain mediators. Because of numerous problems, however, larger-scale studies will still be needed to understand this phenomenon. One such problem is the wide variation in acupuncture practices. In 2001, a comparative study was made of the treatments that seven acupuncturists with traditional Chinese training recommended for chronic back pain. 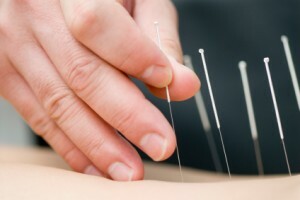 The number of acupoints that they recommended varied from five to 14, and the number of acupuncture needles from seven to 26. In total, the seven acupuncturists recommended 28 different acupoints, yet only four of these points were recommended by more than two of these practitioners.